County requests State and Federal partners to evaluate current flooding situation. Reno, Nevada. March 3, 2017. Washoe County and State of Nevada officials accompanied the U.S. Army Corps of Engineers on a ground tour of Lemmon Valley on Friday to evaluate possible solutions for the persistent flooding that is impacting residents. The Corps of Engineers, which specializes in devising flood drainage reduction infrastructure and reducing risks from disasters, is in the process of analyzing and collecting more information. Its next step is to develop a report that includes recommendations to alleviate the current persistent flood situation and plan for future flood mitigation. Washoe County has six of its departments assisting residents affected by the flooding in Lemmon Valley. The County also continues to coordinate with the Nevada Department of Public Safety’s Division of Emergency Management and with Voluntary Organizations Active in Disaster (VOAD) in Northern Nevada, whose mission is to compile resources from voluntary organizations in the community to assist residents in times of need. Washoe County has reached out to more than 300 residents in Lemmon Valley in the neighborhoods near Swan Lake. 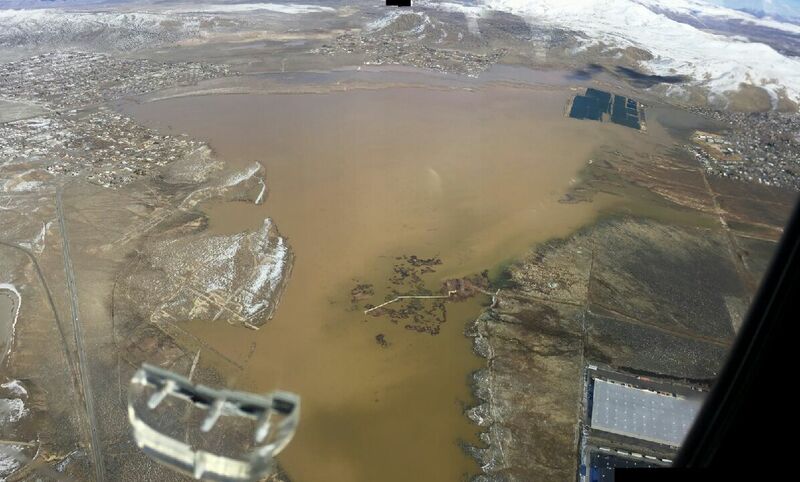 Residents affected by flooding who haven’t been in contact with Washoe County are asked to call 775-785-8600. Washoe County Social Services has provided food, water, shelter and clothing based on the expressed needs of Lemmon Valley residents. Washoe County and City of Reno are coordinating on a plan to reopen Lemmon Drive between Waterash Street and Oregon Boulevard. Work will begin, weather permitting, on Tuesday, March 7. Also, the Washoe County Sheriff’s Office is continuing traffic patrols near the area. Residents are urged to obey traffic signs, specifically speed limit signs and road closures. The National Weather Service Reno is forecasting strong and gusty winds, in addition to possible snow, in northern Nevada this weekend. Washoe County is warning residents that high winds could create wind-driven waves in flooded areas and there is potential for hazardous conditions. Sandbags are available at nine locations in Washoe County, including three areas in Lemmon Valley.